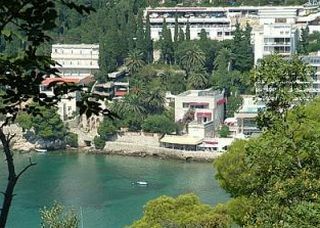 On a living rock, 30 meters above the Miramare bay and just walking distance from the Old Town lies the Hotel Bellevue, Totally renovated 2008 now considered 5* by Croatian Tourism. Beautiful a veritable sanctuary for people who seek to relax their spirit and awaken senses, escaping from the haste of everyday life. It truly is as a unique hotel for discerning individuals with an appreciation of luxury, superb service and attention to detail. 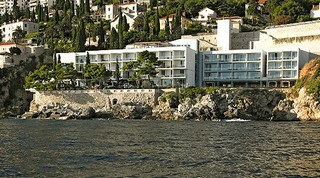 The Hotel Dubrovnik Palace’s unique cascading architecture allows that all 308 sumptuous bedrooms and suites have a private balcony and spectacular sea view. 20 mins from the Castle. Perfect for day time to enjoy the sea and restaurants nearby and Castle for evening. All Grand Villa Argentina 159 standard guestrooms feature spacious bedrooms uniquely decorated with stylish furnishings and combine tradition with modern comfort and amenities. 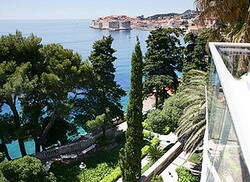 Sea view rooms also enjoy beautiful sights of the Old City walls, the gardens and the Island of Lokrum. The Grand Villa Argentina complex offers a total of 7 suites and deluxe rooms all equipped with the latest technology, offering privacy and comfort to satisfy the most demanding business or leisure traveller. In Dubrovnik, one of the most prominent tourist destinations in the world, a Swedish owned investment company Pervanovo opened a new castle hotel. 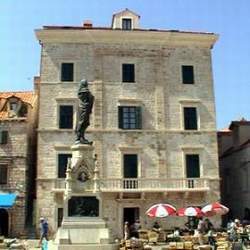 Company’s aim is to acquire best located monumental properties in and around Dubrovnik and to renovate them back to their former glory. Pervanovo’s policy is to maintain as much of the original building as possible whilst at the same time refurbishing to the highest possible standard and comfort levels. The first and the great example is hotel Kazbek. It was constructed in 1573. by one of the Dubrovnik noble families Zamanja as their summer residence. Although designed as place for peace and relaxation history had other plans and the villa passed through various violent ages. Kazbek is now fully renovated to the highest standards and has regained its original beauty and function as a summer residence for guests with high demands in privacy and culture combined with modern facilities. The only luxury hotel in Dubrovnik's Old Town - a former nobleman's home meticulously restored into an elegant boutique hotel. It was aristocrats who originally swanned through the halls behind the honey-coloured walls of this splendid building but 300 years later, the Pucic Palace doors have swung open to guests who also prefer a touch of grandeur in their lodgings. Located on Dubrovnik’s atmospheric main square, the hotel has been traditionally restored with wooden-beamed ceilings, wrought-iron balustrades and lustrous green marble. Corridors are lined with glass cases displaying antiquities, walls are hung with valuable artworks on loan from city museums, and each of the 19 rooms is named after a famous Croatian poet, musician or artist. 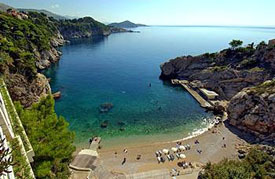 The villa is located on a rock, east from Hotel Excelsior and only a 5 minute walk from the Old Town of Dubrovnik. Villa Agave is the best way to experience the ancient and luxurious city of Dubrovnik! One of the first villa`s guests was Hollywood Oscar winner Kevin Spacey! Formerly the residence of the famous archaeologist Sir Arthur Evans (from 1875 to 1882), the villa has been designed to a signed to a high degree of luxury with many interesting and valuable antique details. The interior is filled with art, including works by most respected Croatian artists Milovan Stanic and Romana Milutin Fabris, and precious items from the Štrok family collection. 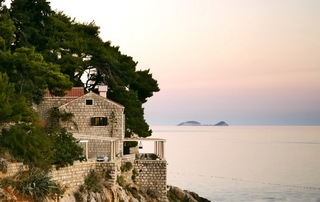 Nestled in beautifully tended gardens, among pine and cypress trees, Villa Dubrovnik overlooks the Adriatic with unimpeded views of the old city and the Island of Lokrum. Following extensive renovations, this wonderfully located hotel now provides two terrace restaurants, an indoor/outdoor pool, a spa and a secluded beach. The atmosphere here is warm and friendly with relaxation further induced by spacious rooms and suites, all with their own balcony or terrace and spectacular sea views. To unwind totally, enjoy an indulgent spa treatment before lunch on the terrace. 20-minute walk from Dubrovnik old town. 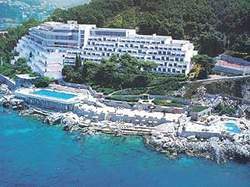 A first class seaside Boutique & Beach Hotel in Dubrovnik located in the Bay of Uvala Lapad, only 10 minutes by car from the Old City Walls. 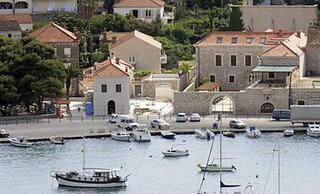 Situated in the most exclusive district of Dubrovnik right on the water's edge with views across this beautiful bay, this property combines the comfort an elegance of a hotel stay with the peaceful reserve of a luxury, private residence. Warmth and charm greet our guests the moment they arrive. The hotel was recently completely reconstructed and its first aim is to offer the right atmoshere for relaxation and leisure in a splendid and elegant surrounding whether you are on holiday, a romantic honeymoon or a short getaway.